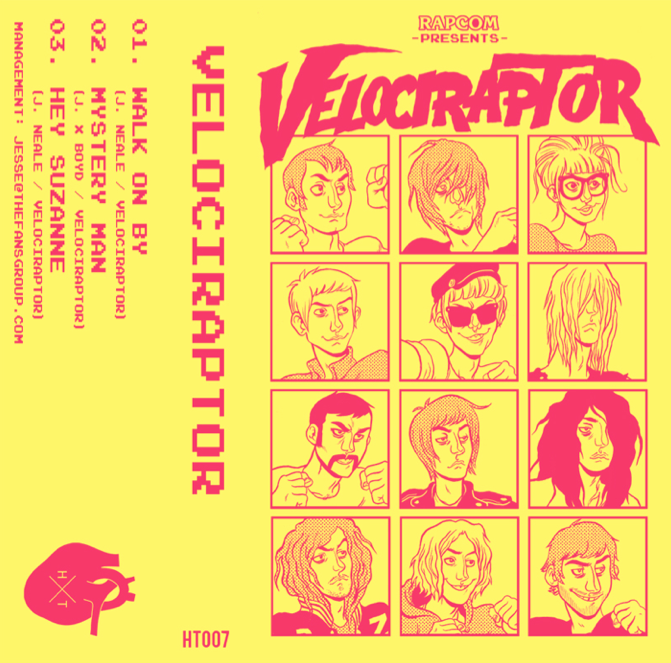 Shane Parsons and Simon Ridley of Aussie thrash-pop act DZ Deathrays have a new band; joining them is not one, not two, but ten other party rockers forming what they call “Earth’s mightiest band”, Velociraptor. It’s quite apt that the Queensland based lads should serve up a sun-soaked, 60’s surf-rock inspired anthem just in time for summer. “Walk On By” is the first track to be taken from the band’s upcoming 3-song EP and as sweet as it all may be with its vocal harmonies and sunny melodies, “Walk On By” is an highly contagious noisy, garage-rock number delivered with a punk-rock like energy. Brilliant fun – turn it up loud! The 3-song EP from Velociraptor is set for release on Heart Throb Records on 20 May, 2013. Pre-order now.